Home » CopyKat Recipes » Baked Mustard Pork Chops – Make your pork chops special with this readers favorite recipe. Baked Mustard Pork Chops – Make your pork chops special with this readers favorite recipe. 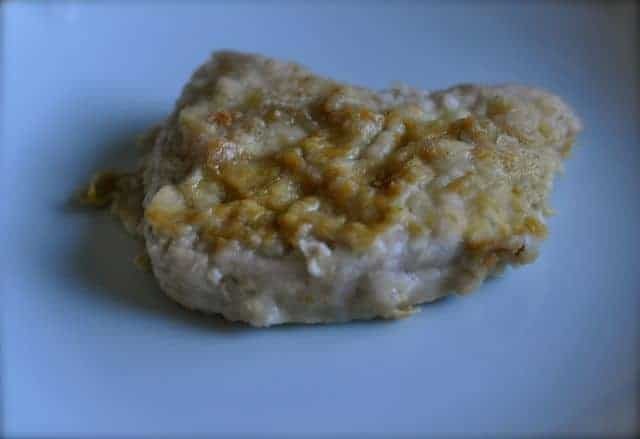 Baked mustard pork chops are a quick and easy way to prepare pork chops. So often our readers share with us their favorite family recipes. Jayne sent to us a recipe from her Aunt. This recipe makes your pork chops taste extra special by adding mustard to them before you batter them. She notes the more mustard you use with these the better they will taste. She likes to serve up her pork chops with mashed potatoes and peas. Make your pork chops special with this reader's favorite recipe. Preheat oven to 350 degrees. Combine flour and seasoned salt in a small bowl. Grease a cooking sheet (I use spray). Spread 1 teaspoon of mustard on one side, dredge in flour, spread the other side with one teaspoon of mustard and dredge. Continue until all chops are covered and placed on the cooking sheet. Bake for 30 to 45 minutes or until brown and crispy. Wonderful served with mashed potatoes and peas.